It is time to start thinking seriously about this year’s tour. 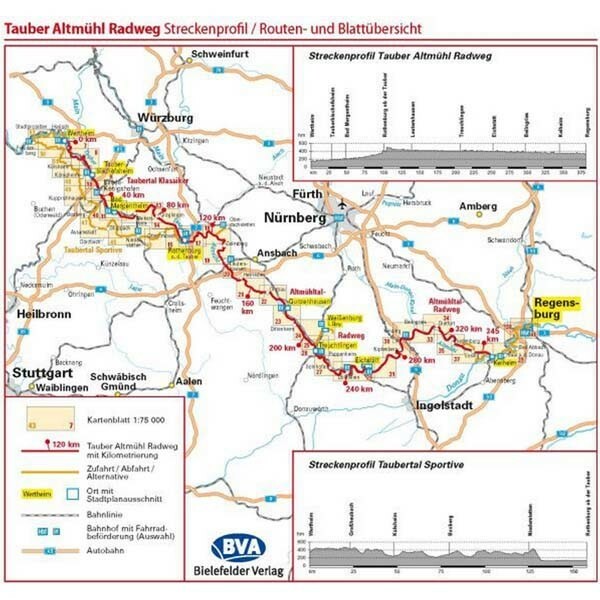 We have decided to stay quite close to home this year and take on Northern Bavaria (or more precisely, Franconia). 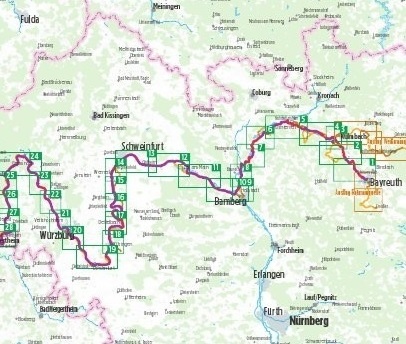 The aim is to start from Regensburg and follow the Tauber Altmühl Radweg (left), skirt around Nürnberg, head up to Coburg and finish up in Leipzig. Early days. A couple of guides have been purchased, but because our plan does not form a part of a registered long-distance route, we have to mix and match the maps (and make one or two of our own).